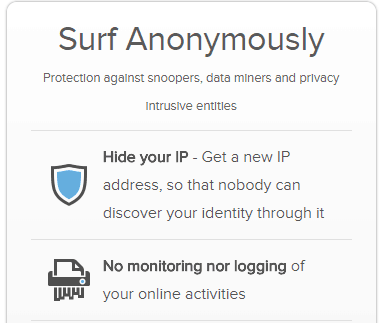 AirVPN is a VPN to allows its users to encrypt their connection to the Internet. It uses OpenVPN tunneling protocol and 4096 bit RSA encryption to hide your IP and keep your browsing session fully private. They were founded in 2010 by a group of Italian “hacktivists”. Fast forward eight years and AirVPN has grown into a full-service premium VPN with server network in 20 countries around the world. Their parent company is Air di Paolo Brini, c.a. But when it comes to a VPN, action can be summed up in two words. So, is this VPN provider truly something great? Or just a waste of money due to questionable logging policy? On paper, there’s a lot to like about this VPN. They’re using fantastic, high-grade VPN protocols and encryption standards. Their logging policy is very thorough and honest. This is one of the only surveillance alliance jurisdiction companies that truly logs no data or personal information. It was free of leaks and viruses, and it works with both Netflix and torrenting. To top it all off, its speed ranges from good to average and you can have five devices connected simultaneously. So let’s take these points one at a time and dive a little deeper. We use VPNs to achieve true anonymity. We want our activity to be invisible to hackers, government agencies, and even the companies who create the VPN that we’re using. Logging is one of the grossest betrayals that a VPN company can enact upon their customers. AirVPN states in no uncertain terms on their homepage that they keep no logs, whatsoever. But that is a statement echoed by almost every VPN we review. Then, when you dig deeper, you see that they’re actually logging a ton of your personal information. What we found was actually very encouraging. I had to read this over several times to make sure I was getting it right. They don’t want ANY of your information. Not even your email address. 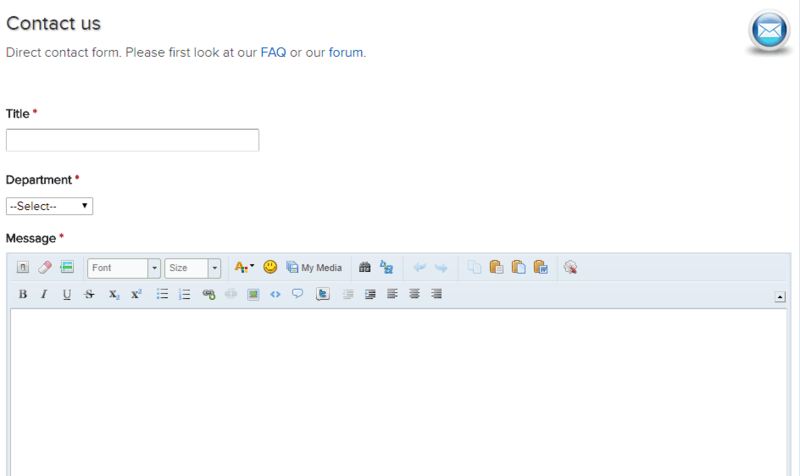 You have the option to include some info, but those seeking total anonymity can find it here. On top of not logging your online activities or personal information, this site isn’t even storing cookies on your system. It appears to be a truly anonymous service. Some people might look at the word “hacktivist” when reading about AirVPN’s creators and get a little uneasy. I actually see it as a good thing. Who would better know what protocols and encryption will work best to protect against malicious hackers, than hackers who use their skills for good? That’s why it comes as no surprise that AirVPN has all the right stuff when it comes to protecting your signal. Ok, so that’s a lot of numbers dashes and random letters. Let’s try to break this down into something more easily understandable. For starters, they’re using OpenVPN protocol, which is the industry standard. It’s created using open source technology, so it’s not the property of one company which is responsible for its updates. The security community as a whole work together to constantly update this protocol and keep it on the cutting edge. The advanced AES encryption they’re using is also good to see. It’s the Superman of encryption standards, completely invulnerable against even the most advanced modern technology. It’s good to see some other encryption levels being added here as well. You can never have too many choices. All in all the last thing you’ll ever have to worry about with AirVPN is security. You’re covered. Even the most advanced protocols and encryption mean nothing if your IP is leaking. To put it in geeky terms, an IP leak is like Batman going out to fight crime with the most advanced suit and gadgets available, but there’s a huge hole blown out of his mask. Everyone can see you, Bruce! You’re not fooling anyone! DNS and WebRTC leaks are the proverbial hole in Batman’s mask. If a DNS server is causing your VPN tunnel to be bypassed, then your original IP will be out there before the eyes of your ISP. Likewise, if API’s associated with WebRTC systems uncover your IP, the VPN is rendered useless. That’s why it’s so important for a VPN to be leak proof. We tested AirVPN six different times trying to make sure that nothing was leaking out. It passed every single test we threw its way. Viruses can also impact the effectiveness of a VPN, damaging your system and transmitting your information back to hackers. We tested AirVPN’s install files for 66 viruses and found that it had a clean bill of health. “This VPN improved my internet speed,” said no one ever. Every VPN is going to slow you down. That doesn’t mean your session needs to come to a screeching halt, though. We tested two of AirVPN’s servers to determine what level of speed we were losing. One server was located in the EU, and the other was in the US. The EU server fared much better than it’s US counterpart. Speeds fell but the difference was slight. The US server is where things started to get dicey. The download fell further than we like to see, but the upload plummeted. Those US numbers are problematic, but consistent EU speeds help to keep this in the pro collum. While I find these to be acceptable speeds, it was not enough to make our list of the fastest VPNs. Out of the 78 VPN services that we’ve reviewed, we rank AirVPN #39 in terms of speed. One of the main benefits of a VPN is the ability to stream geo-locked content. Netflix has a ton of content that’s inaccessible based on where you’re located. A VPN should, in theory, counteract this. And for a while, it did. Netflix was blocking VPNs and proxy servers from accessing its content. Their anti-vpn system is really hard to get around, so when you find a VPN that works with Netflix it’s time for a happy dance. Well, start dancing, because AirVPN worked with Netflix. We tested five of their servers and one of them worked beautifully. The Netflix VPN game is an ever-evolving dance, but thankfully, AirVPN has a community forum with a thread keeping users up to date on which servers are working with the streaming service. AirVPN lets you torrent to your heart’s delight. And why shouldn’t it? Torrenting is one of those services where a VPN is at its most useful. Peer-to-Peer connections (P2P) are a great way to download large files, but they’re dangerous. You have no way of knowing who you’re letting into your system, and so you open yourself up to risk. That’s why many VPNs allow torrenting, including AirVPN. But still, there are many who limit or ban the service on their servers. In today’s landscape, people want more from their VPN than just anonymous web browsing. Content streaming has become one of the service’s most popular uses. In the era of smart streaming devices, people want to experience content on their television. AirVPN doesn’t have functionality with gaming systems like PlayStation 4 or XBox One, nor does it have an app on streaming devices such as Roku or FireTV, but it can be used with a wireless router, protecting all of your activity on those devices. That’s an impressive list, ranging from computer operating systems to mobile, browsers, and several routers. It’s also awesome to see the TOR network listed so prominently. There are many VPNs which ban access to this anonymous web browser. So while it would be nice to see some other smart devices on this list in the future, AirVPN has some decent inclusion which can protect your activity on and off the computer. I can’t say enough good things about my hands on experience with this app. The download was smooth and quick. They took all my system specs and we were off. Their client program is called Eddie. So searching for AirVPN in your system once it’s installed does nothing. Eddie and I got off to a great start. The program installed in under a minute. Before connecting, I perused the options a bit, noting that they have all of their servers listed in order of how well they’re functioning. Next, I chose to connect to the fastest server. That’s a service that they offer on Eddie’s main dashboard. It sent me to one in Canada. 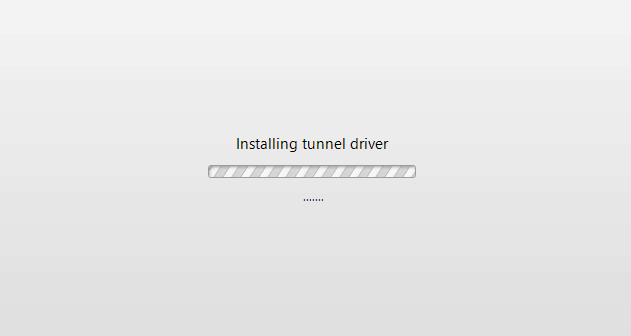 First, it installed the tunnel driver, which took a few seconds. Then I was connected. The whole process was lightning fast. Once I was connected I went over to YouTube where I knew there was some geo-locked content. It worked perfectly. After I was done wiping tears from my eyes at the skating splendor of the Great White North, I switched around to a few more servers. They all connected quickly. All in all, this was a perfect VPN experience and I was very satisfied. While our pros list was extensive, AirVPN is not all sunshine and daisies. There are some issues that need to be addressed before I can decide if I’ll recommend this service or not. For one, despite their impressive no logging policy, they’re still smacked in the middle of the 14 Eyes surveillance alliance’s jurisdiction. Their server park has improved in recent years, but it’s still pretty small, and they have no kill switch, which leaves a glaring issue with their security. And their customer service leaves much to be desired. Land of Venice, of Rome, and of the 14 Eyes surveillance alliance, which shares information gathering efforts with 13 other nations. So, what does that mean for AirVPN? Despite their no logging policy (which I still love), it means that the Italian government could demand they turn over any and all information and share it with other member countries. That’s an awful lot of governments who can be all up in your business at a moment’s notice. If AirVPN were logging any information at all, I would be worried about this. They’re not, so this isn’t the disaster that it would normally be. AirVPN has 237 servers located within 20 countries around the world. While this is far better than the 80 servers in 16 countries they had a year ago, it is still a far cry from a company like ExpressVPN, which has a server park in the thousands, located in every major city in the world. But still, AirVPN has a page on their official site giving you updates on which servers are working, not working, and running the fastest. That said, while AirVPN doesn’t feature a “kill switch,” they offer a “Network Lock” that works in a similar way to a kill switch. A kill switch is a fairly common security component for most modern VPNs. A kill switch can automatically disconnect you from the service if it senses that your connection may no longer be secure. AirVPN’s Network Lock does this, too. Customer service is something that’s important to me, both with VPNs and just in general. I like to know that a company I do business with values me as a customer. AirVPN has a contact form. I prefer chatbots but a contact form works as long as there’s decent response time. I filled it out, sent it in, and got nothing for three days. Thinking that was strange, I filled out a second request and sent it. I got that email immediately. I didn’t receive an email the first time. That means my first request went unanswered because of a glitch in their system. Not great, but at least I wasn’t being ignored purposely. A few hours later I got a response, but I didn’t get an email alerting me to it. I just happened to check back on their site because I was writing this review. I purposely asked a question that was on the website as a way of testing whether or not they’d go that extra mile. Instead, I got dismissive “it’s on the website” response. Air VPN has only one premium plan with no free option. There are five pricing tiers which correlates directly to how much time you’re willing to commit to using the service. Pricing starts for a three day period for €1 and goes up from there. A month alone is €7 with savings tacked onto each additional level. 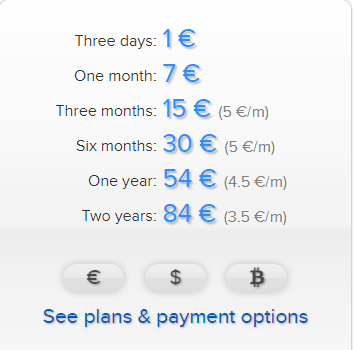 Three and six months have the same monthly rate of €5, but you save some more when you opt in for a year at €4.5 per month or for two years at €3.5 per month. 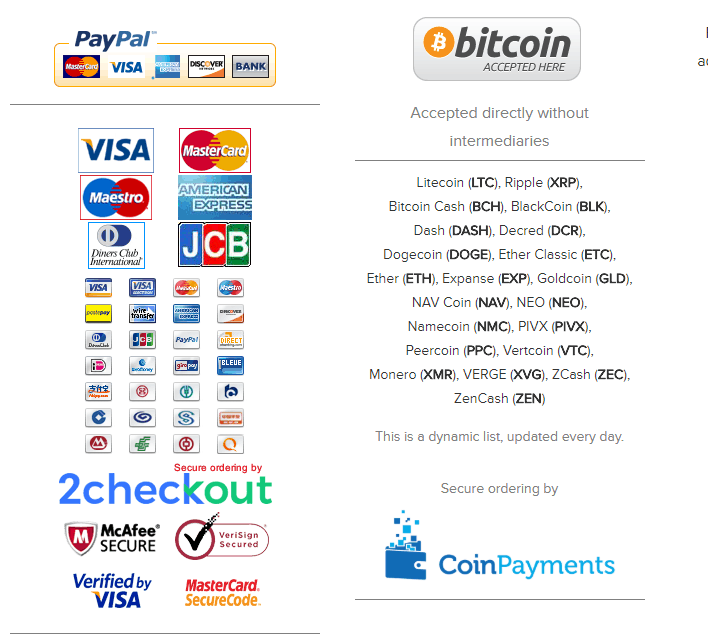 There is a multitude of payment options like Paypal, different Credit Cards and even a wealth of cryptocurrency options, such as BitCoin. Having the option to choose between 22 different forms of cryptocurrency is super helpful to anyone hoping to keep complete anonymity throughout their VPN experience. It’s important to know that there is no free trial. There is a 3-day money back guarantee, however, but you mustn’t have exceeded 5GB data transfer to qualify for the refund. Yes, I know it’s in the 14 Eyes alliance, but it’s also not logging any information on you at all, and it’s an airtight leak-free system. The unlimited torrenting and ability to work with Netflix are huge bonuses, and my hands-on experience working with AirVPN was nothing short of wonderful. Speeds fell a bit more than I like to see on some servers, but others performed admirably. AirVPN’s feature that automatically connects you to their fastest server should counteract this issue. The customer service situation stung a bit, and I hate that they don’t offer a money-back guarantee or a free trial. However, there is the option to use it for three days for a little over $1, so that’s helpful for those who just want to try it out. Out of 78 VPNs, we rate AirVPN at number 20. If you need a better performing VPN, take a look at our best-performing VPNs here or just take a look at our NordVPN review or ExpressVPN review. Do not be taken in by their claim of being "hacktivists and fighting against censorship". They are the very embodiment of what they claim to be against. I bought a subscription for two years, encountered slow speeds, then wrote to their forums for feedback and technical assistance. The senior admin there was rude, sarcastic, and despotic. He locked my thread after I complained that he gave unhelpful standard FAQ-type of replies. I made another thread and he deleted that one. I had enough by then and wrote to their sales department asking for a refund, but being as tiny as they are, their sales department probably doesn't exist or is handled by the same nasty person, and he promptly suspended my account. See how hollow and hypocritical their tagline rings. So I have no hope of getting my refund back and cannot use their service in any case, which is basically fraud. Judging by other comments here, I'm not the first person to experience this, and surely won't be the last. I can confirm Eddie does have a kill switch. Window7+ only- It is called "Activate Network Lock at startup" in Preferences->General tab. Note it does NOT enable this by default. It is a feature not in the Window XP version. For XP you can still achieve the same "lock" manually- after connecting to a VPN server, go into the server list and find the "Lock Current" checkbox at the bottom of the window. Checking that will lock the connection. You'll need to check it each time you connect. Now the HUGE issue- if like most people, you use DHCP to configure your IP and DNS automatically, Eddie WILL NOT WORK PROPERLY. After connecting to a VPN server, all your traffic is still routed through your normal internet connection. THIS IS VERY BAD. If should automatically go over the VPN, but it doesn't, essentially rendering the VPN product useless. This does work properly if your PC is set up with static IP and static DNS- IE. on connecting to the VPN, traffic is then routed to the VPN as expected. I have an atypical home setup with 15 or so PCs, several virtual machines, and for sanity sake, have always set up a static IP and static DNS (a block of local IPs is reserved for DHCP on my router, only my printers typically use it). I added a new machine recently (Windows 7 Pro 64bit) , was in a rush to get it operational and went with DHCP. I installed AirVPN but didn't pay much attention to its stats. A week later I noticed NO DATA was going through the VPN!!! WTH?!? After some monitoring with Task Manager to confirm the issue, I disconnected the VPN, set up a static IP and static DNS on my LAN card properties and then all was well. But because of this MAJOR flaw, I can not recommend this service. In short, I paid for a two-year subscription, experienced poor speed, then asked for help on the forums but was given a dismissive reply. I replied saying don't give me a FAQ reply and explained what I had tried. The post was then locked. When I asked for a refund, they suspended my account, essentially stealing my money for no services rendered. I'm not surprised to read that the post below mine had a similar experience, only that mine is even worse. They claim to be hacktivists against censorship, yet they freely indulge in it. Hypocritical bastards. Airvpn seem good on paper but frequently I find the UK based servers to fall to a speed of less than 3mbps, sometimes you can get no connection at all and only changing the server fixes the issue. When I questioned this on the forum, the rep was rude, dismissive and banned me from making any more comments without his approval. So much for being the service for activists, maybe they are left wing activists like Google, Facebook and Youtube who only believe in free speech for those who worship Karl Marx. On the plus side when it works it works good, the software is reliable on both Windows and Linux, its just a shame their customer service and manners are so appalling. I've used many of the prominent names in VPN services and I found the best overall solution was AirVPN. I am on the Brave browser in Linux Ubuntu and not having a Linux specific client eliminates many choices. I had connection problems, some services not allowing easy server selection, dropped connections, slow connections, expensive connections, problems with media displaying and so on. Eddie, the GUI, ran flawlessly upon set-up, required no hand holding to figure out how to use it and had about the best overall assortment of privacy enhancing features that is out there. The prices is very competitive at longer durations. I really, really like AirVPN and plan on sticking with them as long as their policies remain the same and their performance is maintained. For me, it was a great relief to find something so well developed for Linux. The speed drop even to a nearby server is at least 25-50% consistently since I started; the “recommended server” is usually in the Netherlands or Canada which is an inconvenience if I want to shop Joe Schmoe Store in the US-I have to change the server to the US-based one; the server lock “lock current” does not work; it takes several minutes for the selected connection to kick in assuming it does it on the first try which is often not the case; it will not let me select a lot of the servers that I want say the ones closer with lower latency times and in the US; for some strange reason I can no longer access the internet without the VPN even if I close it down, reboot and change the DNS server address back to a generic one – was never a problem before I got AirVPN; no sense in getting in touch with customer service as I had the same problem noted in the review above, remember, basic computer skills here. I signed up for all the reasons listed in the review. I think their concept is solid but execution leaves a lot to be desired. One small positive though, I was able to watch the world cup by using one of their servers located in Germany to log onto one of the major German TV stations broadcasting the games. At times the images were a bit grainy but considering the routing not too bad. I had IPVanish before this and despite their propaganda, I could not do the same and their customer service was abysmal as well. Looks like NordVPN or Express will be my next stop. I have been using AirVPN for quite a few years. Fairly quick, easy to operate etc. However, their technical support, sales support etc have been awful this year and seems to be getting worse. I have raised 6 support tickets, 4 have been closed without any response and 2 were just deleted! I have asked them for VAT receipts but they refuse to provide one, even though VAT is charged. I believe this refusal is illegal (it certainly is in the UK). I think we will be moving elsewhere now. I know I’m mostly just echoing the responses below, but I feel weirdly loyal to AirVPN, so I, too, will point out that AirVPN **does** have a kill switch–and that it works incredibly well…MUCH better than most other kill switches I’ve encountered. Also, imo Eddie (the GUI) is an excellent VPN application that manages to be user friendly without sacrificing security–all while offering lots of advanced options for those who want more customization. The app’s *design* might feel a bit outdated–and sure, lots of other VPN clients feature a sleeker, more ‘modern’ interface–but let’s not confuse flashy design with overall user friendliness (or quality of service!). When it comes to VPN services, values are CRUCIAL. After all, it’s your private data we’re talking about! Not surprisingly, I’ve found that VPN companies who are truly committed to a core ethos that values privacy, security, transparency in government etc, fundamental rights, etc.) tend to provide the best, most secure VPN services. So while many VPN companies employ deceptive, hyperbolic marketing schemes to attract unsuspecting customers–AirVPN has opted to maintain its focus on building a top notch VPN service from the ground up. Imo, the results of this privacy-oriented ethos speak for themselves: I’ve never detected a leak of any sort when using either AirVPN. The same goes for Mullvad (another great, mission-driven VPN company). I think people focus WAY too much on where a VPN is incorporated (e.g. Italy w/ AirVPN). Honestly, if the NSA or whoever wants your data, do you think they’ll waste their time and resources building a case and getting a warrant, when illegal “surveillance” is so much more efficient? Plus, in court there’s due process, presumption of innocence…you know, basic rights. Why bother with all that if you don’t have to? Instead of thinking about warrants and the like, ask yourself if you trust your VPN service to protect you–and your data–in situations that unfold away from the public eye, where there’s no accountability to *anyone*, where you have no due process to speak of. That’s what counts! It DOES have a kill switch, its called the network lock and ive tested it and it works and in options you can get it to run minimized at boot with network lock on, so if your server drops out you won’t have any connection unless you close the program (no VPN) or connect to another server, it maxes out my 40Mb/10Mb connection every time (holland servers) with 22ms latency – the interface is good compared to others as it shows you the load and latency on each server before you even try it – 3 day free trial by request. I was with PIA before and they had speed issues on their servers (top heavy now) and will be renewing with AirVPN after trying month after month different ones. 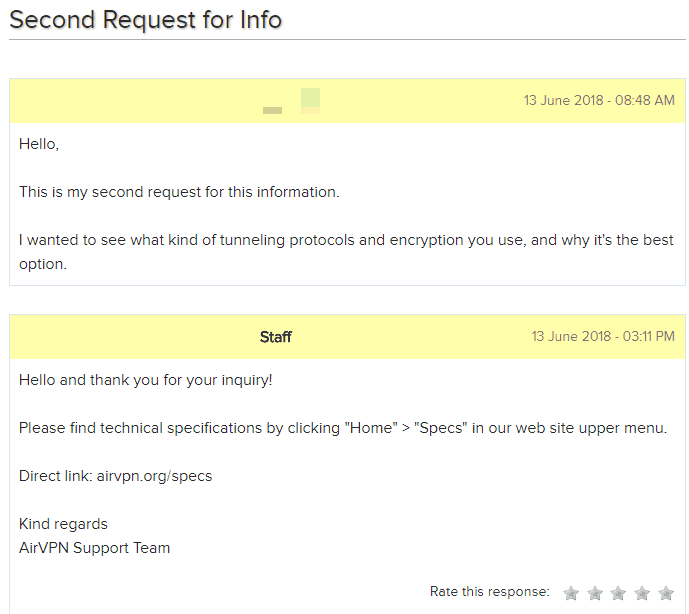 After my ISP shut down my connection after some alleged activity (copyrighted downloads), I decided to subscribe to a VPN service. Although PIA seems to be the more prominent name in my research, AirVPN has a better record. THE BAD: The configuration files and tutorial for AirVPN and OpenVPN drove me nuts. AirVPN does not offer proxy, so I can’t use it for single applications. The price isn’t the best. Instructions to use their service are forum posts from employees. The speed on Windows (think 22mB/s max) is far less than Linux (think 36 mB/s max), though I assume I have something misconfigured. THE GOOD: The desktop client is easy to use and clearly lists available connections and their stats. Setting up Android was super simple and did not require a forum post (but it is available). My internet stops if my VPN connection is interrupted, so absolutely nothing slips through the cracks. Tons of server options on the rare occasion (twice in 1.5 years) one isn’t working properly. I resubscribed to AirVPN happily. The service and client work perfect. Most servers trigger websites’ CAPTCHA from botters, but nothing is blocked.